Copyright offers a potentially powerful tool for addressing piracy in China of logo marks and stylized word marks in the context of oppositions and invalidations. The protection offered applies regardless of the goods or services covered by the pirated mark. Registering copyrights early – and before pirates file – can lead to significant savings in the context of oppositions and invalidations. But the decision to register copyrights early must take into consideration the cost as well as the likelihood of piracy arising down the line. Article 32 of the PRC Trade Mark Law provides in pertinent part that “applications for trade mark registration are not to harm another’s existing prior rights” (emphasis added). Under the 2005 Trade Mark Adjudication Standards, jointly issued by the PRC Trade Mark Office (TMO) and the Trade Mark Review and Adjudication Board (TRAB), “prior rights” explicitly includes copyright (along with trade names, the names and portraits of individuals, and other civil rights). the mark’s applicant did not obtain the copyright owner’s permission [to apply for registration of the work as a trade mark]. Of course, to qualify in the first place, the petitioner’s work (logo, stylized mark, art work) must be one that the PRC Copyright Law protects – that is, it has originality (“authorship” in US parlance) and can be reproduced in a tangible form, and the petitioner must also submit evidence of its copyright ownership. In general, Chinese authorities will recognize copyright in any distinctive logo. Debates over “originality” arise mainly with respect to stylized word marks or with marks that have only had minor design elements added thereto. In China, registration of copyright with the Copyright Protection Centre of the National Copyright Administration (NCA) is typically conducted without prior examination as to originality, and thus a registration certificate issued by this authority will not constitute proof of originality. Chinese authorities will recognize foreign copyright registrations, including those issued by the US Copyright Office (USCO), which offers registration at a fairly low cost compared with China. The USCO will however conduct substantive review of applications and refuse registration to designs that appear on their face to function mainly as trademarks, on the basis they lack “sufficient authorship”. In such cases, registration of copyright with NCA is normally advisable, albeit at a higher cost. Trademark pirates will often file for marks that are identical, or nearly identical, to those of the victim brand owner. In such cases, the pirate’s access to the copyright work will normally be presumed. In most cases, proving access by the pirate to the copyrighted work can be achieved by simply demonstrating widespread use of the work (typically online) prior to the pirated mark’s application filing date. In this regard, prior distribution of the work in China is helpful, but not essential. The simplest way for the petitioner to prove ownership of the work is to file for copyright registration in the US or China before the filing date of the pirated mark. But filing for copyright registration involves additional cost, and decisions to file therefore need to be made based on an assessment of the likelihood of piracy at the register. Absent a prior registration of copyright, the victim brand owner will need to provide more extensive evidence to support its ownership of the work as well as evidence of prior distribution to the public. If such evidence is gathered from overseas sources, it should be notarized and legalized (failing which, it could be ignored), thus resulting in still further costs. IP owners will sometimes encounter difficulty documenting ownership where the work was prepared by an external design house, rather than by an in-house design team. In many cases, the commissioning agreement between the IP owner and the design house does not exist or is insufficient in its language to prove that the parties intended for ownership to vest in the commissioning party ab initio (from the date of creation). Where there is ambiguity as to ownership, it is advisable to request the design house to execute a new confirmatory agreement that clarifies ownership rights. Where such documentation is not available, consideration can be given to filing for registration in the US without it. However, this could be challenged by pirates later on. Registering trademarks defensively in additional classes that pirates are more likely to target. The downsides include filing fees and the risk that such defensive registrations can be cancelled after three years of non-use (although so far this has not been a common technique used by pirates). Asserting “well-known status” under Article 13 of the PRC Trademark Law. However, in practice, proving well-known status requires presentation of extensive evidence of use and reputation of the mark inside China. And only a handful of foreign marks each year are accorded this status. Relying upon other provisions in the Trademark Law that prohibit bad faith registration. The TMO, TRAB and courts are now increasingly supporting oppositions and invalidations against serial pirates on the grounds that their applications were filed in bad faith and without intent to use them in a normal manner. 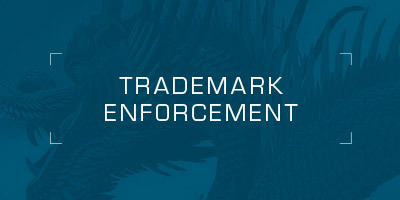 However, both the law and evidentiary standards for proving bad faith under various provisions of the Trademark Law are in flux at present, with the TMO being particularly conservative in recognizing bad faith. This article originally appeared in the September 2016 edition of Managing IP magazine.